Designing and providing innovative energy-efficient lighting products and superior service, creating a new level of value. The process of developing and planning for a major lighting project can be a daunting task. PQL brings more than 70 years of experience to the business of lighting; having worked with customers from varied industries, markets, and budgets. Guidance from a company who has helped thousands can be invaluable. PQL brings the full experience of our team to offer the right solution to your lighting needs. No two customers are alike, and no two lighting-use goals are alike. With the complexity of the lighting business today, our staff at PQL is fully trained to work with your company on many levels: from Lighting Specialists that will help to determine the right lighting product for your needs, to Custom Online Ordering Guides, designed to make it easy for you to order at a time that is convenient for you. Our four fully-stocked distribution centers are dedicated to delivering product quickly and efficiently. Our large distribution network makes reordering fast and our online ordering painless. PQL has the resources to service your company, regardless of the size or demands needed. 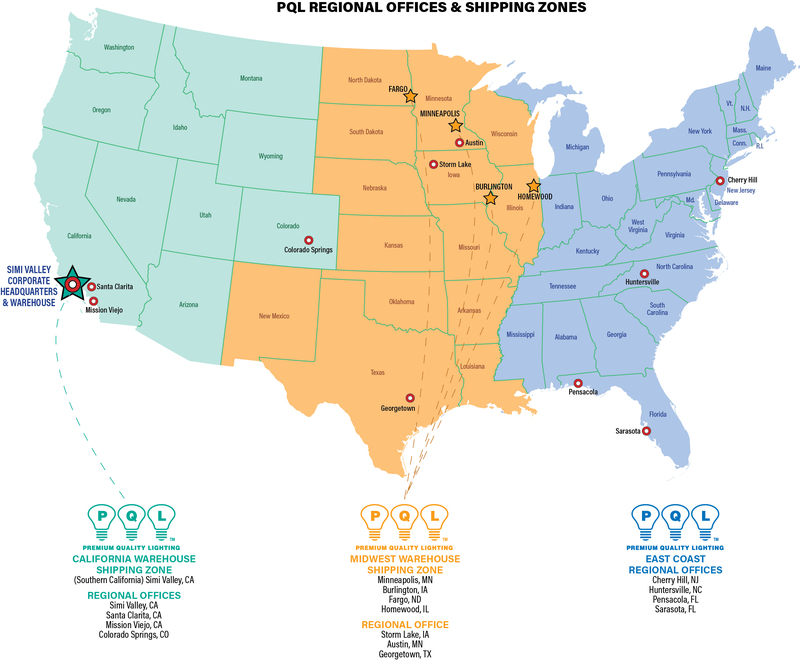 PQL focuses on getting your product out of our warehouse and into your doors, with most orders shipping the same day you place your order. PQL invites you to put our quality, experience, service and national resources to work for you.